In my youth I was introduced to the I Ching or Book Of Changes. This cornerstone of Taoist philosophy opened my relationship to Tao. "The Sage" (as I call the book), has been a trusted advisor for many years; along with meditation, it acted as a guide to my spiritual connection. A professional musician by trade, I have always been aware of a latent talent for healing. At a time of change in my life, I came across a Taoist book that taught the practice of Microcosmic Meditation. These studies led me to Chi Kung practices, and later to pursuing my interest in the healing arts. 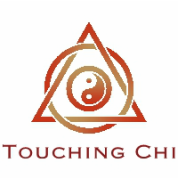 I then discovered Chi Nei Tsang, a modality of healing that I truly believe in, and have found to be “the way” to awaken and actualize the latent healer within myself. In February 2012 I received my certification as Practitioner from the Chi Nei Tsang Institute in Oakland, California. Since then I have taken additional courses, attended seminars and retreats. I have attained advanced level certification as a Global Body Certified (level III) Taoist Healing Energetics Practitioner. I began my studies with the intention of healing only myself. Chi Nei Tsang has become an expression of healing, and through it I reach outward to share and resonate with others. Specializing in one therapy modality allows me to deliver Pure, 100% Chi Nei Tsang.